When considering a countertop renovation for your kitchen or bath, it can be hard to decide what material is right for you. There are so many options available that it can become overwhelming. Fortunately, there's a material that is ideal for most designs and most budgets: solid surface. Solid surface counters are made from hard synthetic material, usually acrylic or polyester, and natural fillers. It is easily molded to fit any shape and size space you may need it for, and can work with a myriad of design needs. Because it comes in a wide range of colors, you will never need to work the design of your space around the color of your counters like you might with another product. These countertops also comes in both matte and polished finishes, both of which are options that can further your design goals. These countertops are non-porous, which makes them resistant to microbial growth. Simply put, bacteria, viruses, molds and other microbes have nowhere to hide and multiply, so they don't hang around for very long. The non-porous nature of this material also makes it easy to clean and nearly impossible to stain. Cleaning is simple: just a little soap and water on a rag will scrub away most messes. Solid surface counters are strong and can easily withstand the wear and tear caused by everyday living. However, they can be scratched by sharp objects, so always be sure to use a cutting board. 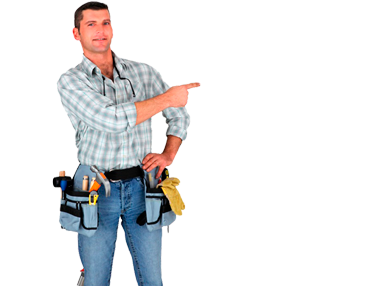 Because it is a synthetic material, though, it is easy for your contractor to repair should any damage occur. solid surface countertops. solid surface countertops. The only other caution homeowners should take is to avoid exposing their countertops to very high, concentrated heat. Always be sure to use hot pads or trivets when placing very hot items on your counter or you may find yourself having to call your contractor to come fix a scorch mark or crack. With routine cleaning and occasional repairs, a solid surface countertop can last you a lifetime. But is it right for you and your project? The coloring and finishing flexibility it offers makes it ideal for a wide range of designs, and its durability and reparability make it appealing for a variety of lifestyles. Consider the versatility of this material for your countertops with your designer or showroom consultant. You may find it to be the best option for your project and your budget. FREE estimate on your Solid Surface Countertops project?